Donna Powle is a born and bred Aucklander. She was admitted to the bar in 1994. 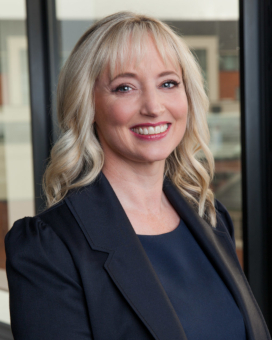 She joined the firm (then Palmer & Associates) in 2002 having previously practiced in law firms in Wellington and Auckland. Donna leads our Property and Private Client Team and has extensive expertise in all aspects of commercial law and commercial property work. She also has wide experience in all aspects of family & business asset protection to provide for private client needs. Donna was a co-presenter of the New Zealand Law Society Continuing Legal Education Seminar held throughout New Zealand in February 2012 on the topic of Buying Property in 2012. Clients appreciate Donna’s lively personality and her ability to be a quick strategic thinker. She enjoys working closely with her clients and ensures their holistic legal requirements are understood and met. Donna is often overheard saying to her clients that at P&H “we have got you” – and she always works very hard to deliver on that mantra. She prides herself on providing practical advice while adding value to her clients’ matters. Donna is very privileged to be acting for second, third and fourth generations of families where their family has become part of the firm’s. Donna has a particular interest and niche area of expertise in Pharmacy acquisitions and dispositions, and associated company structuring. Donna is happily married to Wilco the Dutchman who moonlights as the office sommelier. She is Mum to two young adults, Madison and Grayson. Now that they have their drivers licences Donna has handed in her taxi driver’s licence and will now have more time to enjoy some road trips and overseas travel with the Dutchman. Donna is a sociable foodie who enjoys entertaining friends and family at home with good food and fine wine… although Donna has yet to graduate to drinking anything other than bubbles! Copyright © 2018 Powle & Hodson. All rights reserved.